Mars Foodservice is thrilled to announce the winners of the third “DOLMIO PROFESSIONAL® & UNCLE BEN’S® Foodservice Student Catering Challenge” after a scorcher of a summer themed final. After a record amount of entries to this year’s competition, eight selected finalists battled it out at the Foodservice Show, NEC, Birmingham. 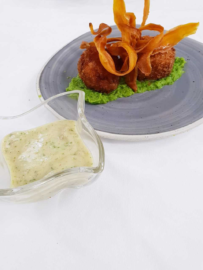 During this time, the budding young chefs had one hour to prepare, cook and serve two dishes appropriate for a casual dining summer menu, to an expert panel of culinary judges including Alison Smith, Product Development Chef for Mars Food Europe. Prizes up for grabs included ‘Best Adult’s Dish’, ‘Best Children’s Dish’ and ‘Best Casual Dining Summer Family Menu’. Both dishes had to contain two of your five a day per serving, be gluten-free and comply with national guidelines on salt. The winner of not one, but two titles, Taek Min Lee from the University of West London, served up a sensational menu which consisted of a ‘Rice Cake Lasagne’ (Adult’s dish) and a ‘Scorched Rice Pizza’ (Children’s dish) – highly creative and technical dishes which infused the flavours of India, traditional Italian structures and rice dough technique from Korea. “The DOLMIO PROFESSIONAL® & UNCLE BEN’S® Foodservice Student Catering Challenge was my first ever competition, so to be awarded ‘Best Adult’s Dish’ and ‘Best Casual Dining Summer Menu’ feels amazing! 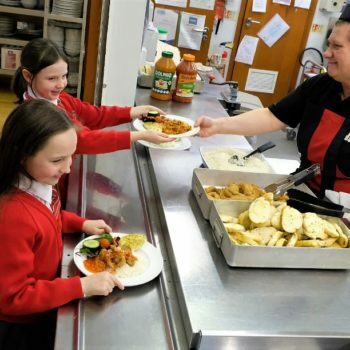 “Winning the ‘Best Children’s Dish’ in the 2018/19 DOLMIO PROFESSIONAL® & UNCLE BEN’S® Foodservice Student Catering Challenge was truly the cherry on top of what has been a brilliant competition! I’m particularly happy that the judges liked my children’s dish as I spent a lot of time thinking about the taste and presentation of this dish. 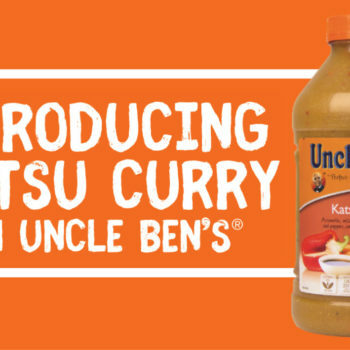 To ensure a dish appeals to children, I think it’s important to add lots of interesting colours and textures alongside popular flavours; this is why I added lots of various elements such as crispy breaded chicken, UNCLE BEN’S® Hickory Smoked Barbecue Sauce, crunchy sweet potato crisps and a bright pea puree. 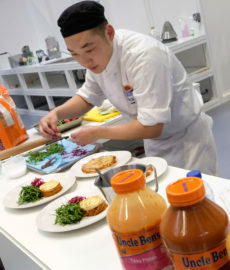 Both students have won £200 of Amazon vouchers to spend as they please, with Taek Min receiving an additional £400 of Amazon vouchers as well as an experience at a top UK restaurant for winning the ‘Best Casual Dining Summer Menu’ title! All 8 finalists were also presented with a certificate and personalised “DOLMIO PROFESSIONAL® & UNCLE BEN’S® Foodservice Student Catering Challenge” chef’s jacket at the awards presentation.